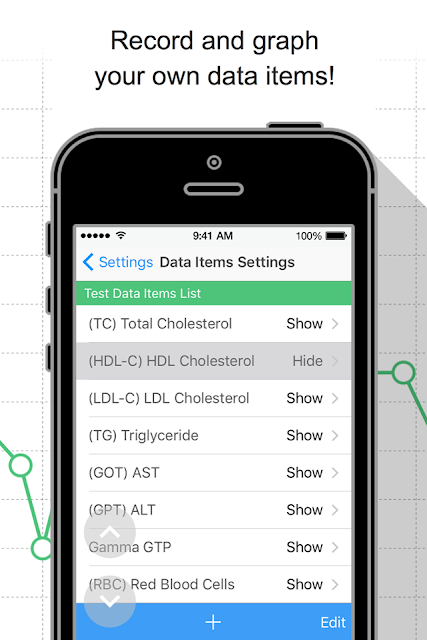 "Blood Test Grapher" is an app that can be easily graphed numerical values of blood tests and diets. Available on iPhone/iPad. 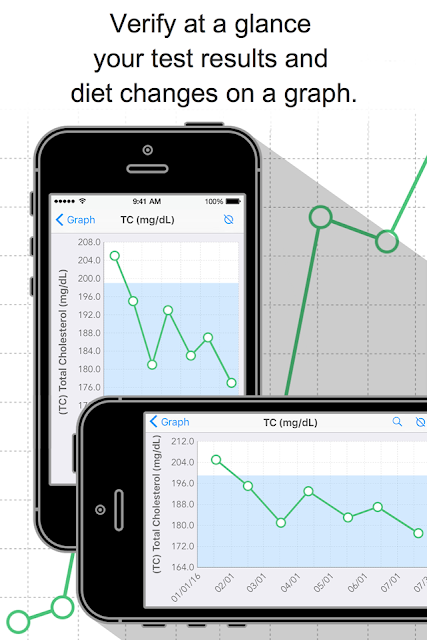 - Verify at a glance your test results and diet changes on a graph. - Record and graph your own data items! - Calculate your body fat (kg/lb) and BMI automatically. 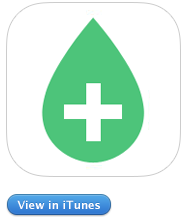 - Record your medical expenses and download the data at a later date. 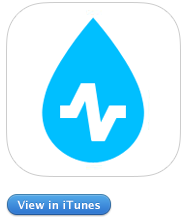 - Receive notifications for your scheduled hospital visits. - Record numerical values in one go using one single screen. - The text size can be changed to a "Larger Text" setting. 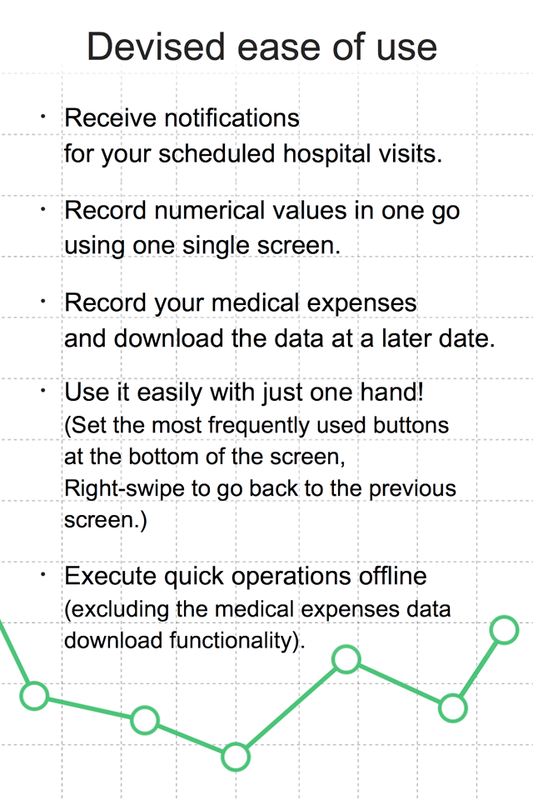 - Execute quick operations offline (excluding the medical expenses data download functionality). *: Data items initially set as hidden. Apart from these data items, you can also record your own data items! By recording the medical institutions you are due to visit, as well as the date and time of your appointments, you can configure the app to send you notifications at a specified time. The time of the notifications can be changed in the Settings screen. 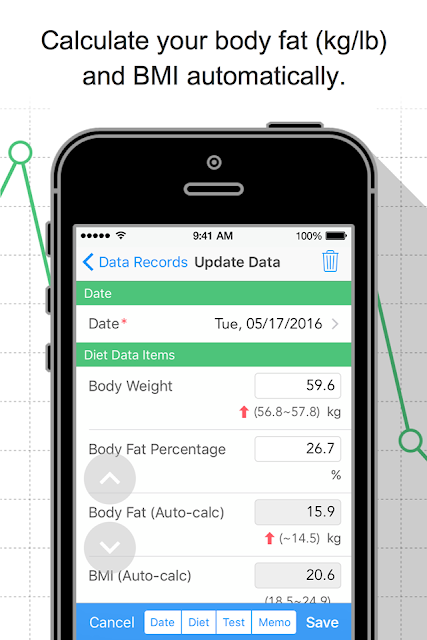 This screen records the numerical values related to your diet and test results. Configuration changes for adding new input data items, etc. can be made from the "Diet Data Items List" or "Test Data Items List" on the Settings screen. 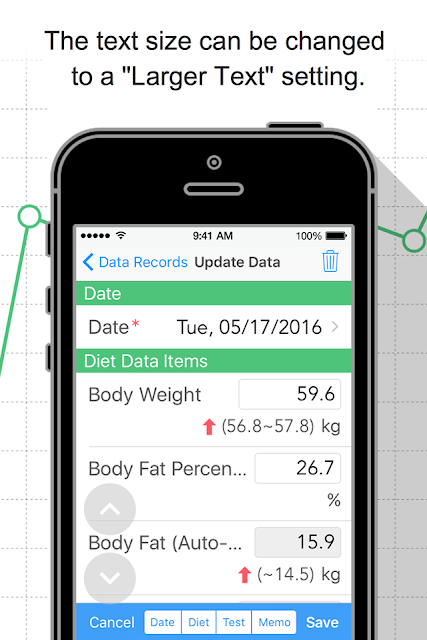 This screen allows you to verify the numerical data recorded on the Data Records screen by plotting it on a graph. This screen allows you to configure basic information, display settings, record master data, etc. Please set your "Gender" and "Height". These values will be used for calculating the normal range of your test data items and your BMI. To use the hospital visits scheduling functionality and the medical expenses data output functionality, please record your medical institutions information from the "Medical Institutions (Pharmacies) List." 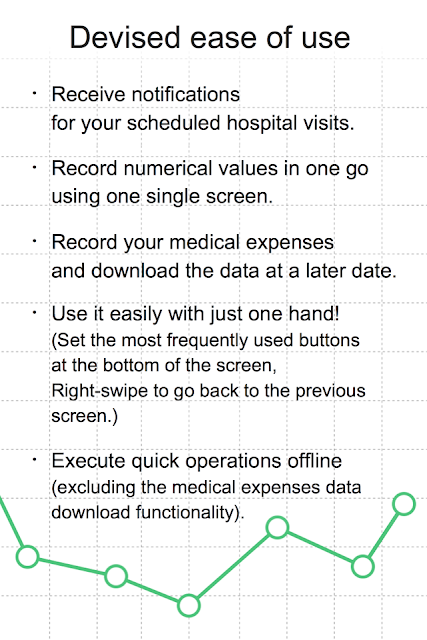 This functionality allows you to output medical expenses information recorded on the app onto files in CSV format, so they can be transferred to PCs, etc. This data can then be used by processing it on spreadsheet software such as Excel. The download functionality uses AirDrop and the e-mail app included with iOS. Third party e-mail apps (Gmail, etc.) may appear on the list; however, some apps may not be able to attach CSV files, so we recommend using the e-mail app that is included with iOS.